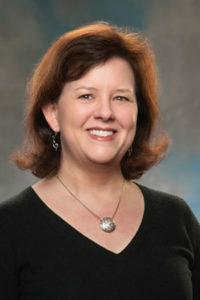 Dr. Thompson is a graduate of The University of Tennessee College of Medicine in Memphis. She completed her residency training in Obstetrics and Gynecology at The University of Missouri, Kansas City and is certified by the American Board of Obstetrics and Gynecology. She is a Fellow of The College of Obstetricians and Gynecologists. Dr. Thompson’s practice includes evaluation and treatment of urinary incontinence, menopausal care, evaluation of breast disease, management of abnormal uterine bleeding, evaluation and management of infertility, and management of contraception. She performs surgeries for benign gynecologic conditions and has a special interest in pelvic floor reconstructive surgery and in minimally invasive surgeries. She has admitting privileges at Centennial Medical Center and at Baptist Hospital. Dr. Thompson is no longer accepting new OB patients or new gynecology patients. © 2018 by Carolyn Thompson. All Rights Reserved.